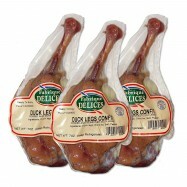 Fabrique Delices cured meats are made the artisanal way according to authentic recipes. 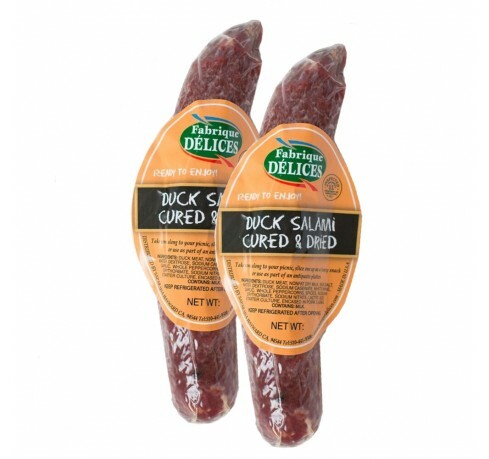 This rich, flavorful French style duck salami has an excellent balance of seasoning and flavor as well as a pleasant moist texture. 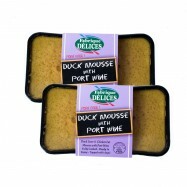 It makes an excellent snack or appetizer and pairs well with a French baguette and a Vaqueyras, Shiraz, Chateauneuf-du-Pape or Croze-Hermitage wine. 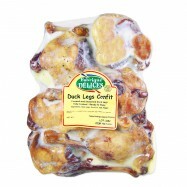 Many of the Fabrique Delices products have been served at the White House. Comes in 2 salami of 8oz each.